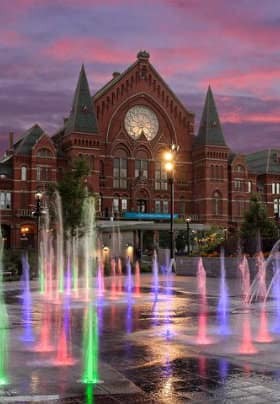 DeVou Park – A wonderful park in Covington, Kentucky that has a striking view of downtown Cincinnati, walking trails, a public golf course, and an outdoor venue for events. Eden Park – Located in Cincinnati, this 186-acre urban park includes the Cincinnati Art Museum, the Krohn Conservatory, a large reflecting pool, and several overlooks to the Ohio Valley including the Ohio River and Lunken Airport. England-Idlewild Trails – Located in Burlington, Kentucky, the 185-acre park offers 12 miles of multi-use trails for hiking, biking, and trail running – but is best known for its mountain bike trails, ranging from beginner to expert singletrack. 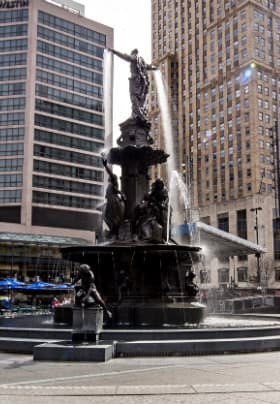 Fountain Square – Fountain Square is the public space that marks the center of downtown Cincinnati where people gather to enjoy the historic 1871 Tyler Davidson Fountain, as well as many public events including festivals, music, and organized gatherings. Sawyer Park – A mile-long park along the Ohio River with award-winning landscaping, walking paths, playgrounds, tennis courts, and a performance pavilion. Smale Riverfront Park – Riverfront park situated between the Reds and Bengals stadiums; includes a working carousel, interactive fountains, large swings, and playgrounds. 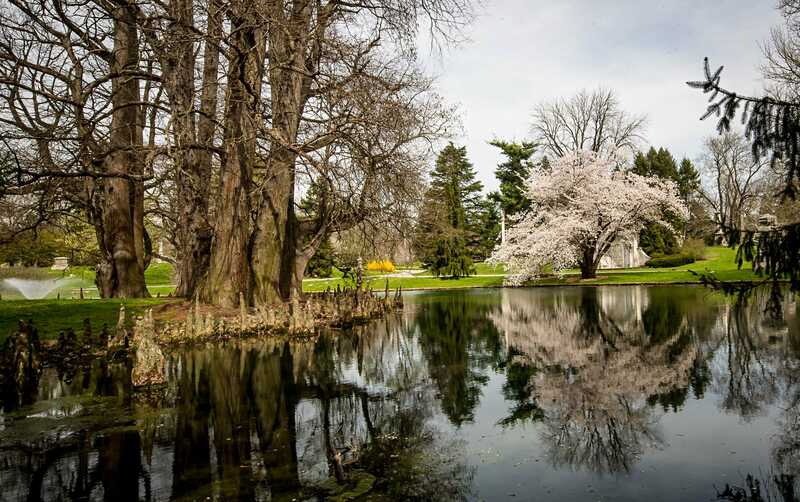 Spring Grove Cemetery Tours – A National Historic Landmark founded in 1845 that sits on a 733 acre cemetery that is also a beautiful arboretum. Open to the public, the cemetery offers walking, tram and bus tours showcasing, historic gravesites, architecture, 12 ponds, springs and a wide variety of plants and trees. Theodore M. Berry International Friendship Park – Connects to Sawyer Point and offers a 20-acre park on the Ohio River with picturesque walkways and sculptures. 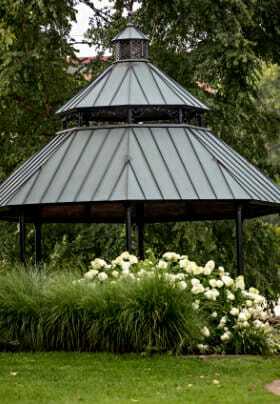 Tower Park – Located in Ft. Thomas, Kentucky, this 86-acre park includes three sheltered picnic areas, six tennis courts, and walking and mountain biking trails. Washington Park – Located in the Over the Rhine district of Cincinnati, across from historic Music Hall, the newly renovated park offers a wonderful public space for city events or for just strolling along the well-landscaped park or watching the kids play on the extensive playground and climbing wall.